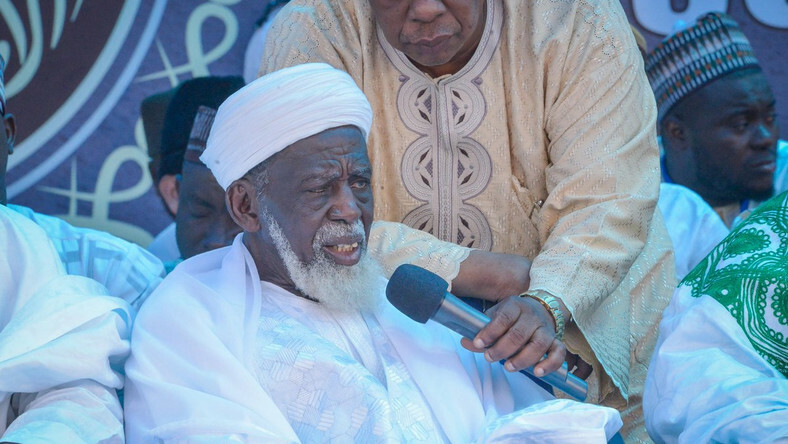 The National Chief Imam, Sheikh Osman Nuhu Sharubutu, has made his first public appearance after a death prophecy was made about him by the leader and founder of the Glorious Word and Power Ministry, Rev. Owusu Bempah. He made an appearance at the 87th Annual National Convention of the Ahmadiyya Mission Ghana held at Pomadze in the Central Region. Vice President Dr Mahamudu Bawumia, who was also prophesied to die this year by Owusu Bempah, was at the convention. The death prophecy about the Chief Imam in particular sparked violence protest by some Muslim youth who attacked the Odorkor branch of Owusu Bempah’s church. The Chief Imam in a statement strongly condemned the attack, calling for calm and restraint. “Ghana has gained respect in the eyes of the world because of the peaceful co-existence between Christians and Muslims. We’re all brothers and nothing must divide us,” Sheikh Sharubutu said. “We must all restrain ourselves and pray for life. Ghana is all we have. Religion is supposed to unite us and not divide us,” he added. Ghana is an example of religious tolerance, where the country’s Chief Imam comes and addresses the Ahmadiyya Muslims Annual Convention (with the Vice President of the Country). May Allah bless Ghana !